First Night was celebrated for the first time on December 31, 1975. A small group of artists from Boston sought an alternative way to celebrate New Year's Eve. They wanted a festive event, where alternative artists and musicians could perform on outdoor and indoor stages. Moreover, they wanted an event, that wouldn't emphasize drinking alcohol, as a common form of New Year's Eve celebration. The first First Night had a great success and other communities and cities started celebrating it. By the 2000s the artistic celebration appeared in 260 cities across the USA. The event is organized only by activists, but during the Great Recession, that started in 2007, the number of cities celebrating it reduced. 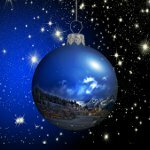 Still First Night exists in many cities across the USA and everyone can join this celebration as an alternative to New Year's Eve. Celebrate your local culture, music, arts, dance, comedy, fireworks, ice sculptures and parades!